Target: 100% renewable energy on the city-wide electrical grid by 2035. 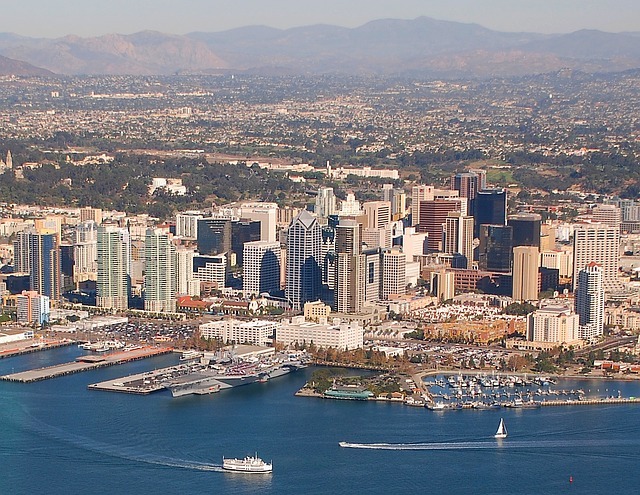 Implementation: In 2015, the City of San Diego, California set the target of cutting GHG emissions in half and achieving 100% RE by 2035. The target was part of a comprehensive Climate Action Plan launched by Republican Mayor Kevin Faulconer. The plan was to also increase water and energy efficiency in buildings, intensify public transport, grow the number of electric vehicles, promote walking and cycling routes, zero-waste strategies and climate adaptation measures. The city would achieve the energy target through a Community Choice Aggregation (CCA) programme, which will enable it to purchase the electricity directly from various energy producers (gas, wind, solar, etc.) and sell it to residents and businesses. The power will be delivered to the consumers by the local utility SDG&E, which manages the power infrastructure, regulates the grid, and provides customer service, etc. The CCA programme differs from the past in that it allows the City of San Diego and its citizens to actively decide where their energy comes from. Previously, the utility had total control of the city’s energy supply, and conducted all the purchasing and selling of energy to consumers. Unlike the private utility model, the CCA programme is not for profit, and is run by the local government. Part of the revenue from energy sales that would normally flow into the private utility shares would now remain within the community budget. This available income can be used to fund local energy efficiency and renewable energy projects. The CCA will also give consumers greater choice by allowing them to optionally take part in the programme and to decide whether they would like to purchase their electricity from renewable energy sources or not.